Vroom. Fueling Education. 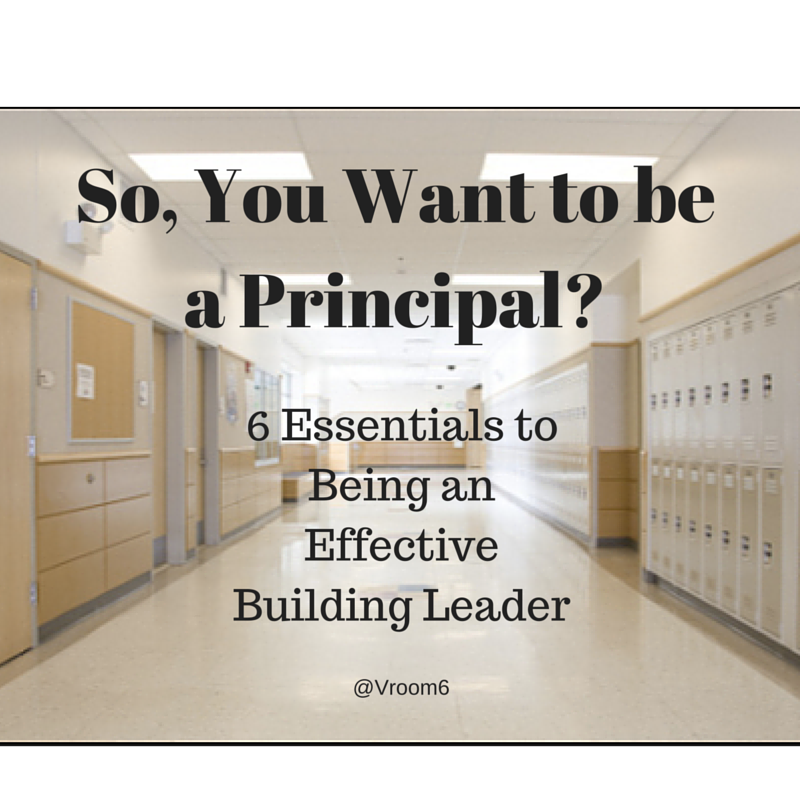 : So You Want to be a Principal? Recently one of my teachers asked me a question I honestly hadn't been asked in a while. I have been asked before but never really dove into the deeper meaning of my answer and how "it" all came to happen. The question was a simple one, "When did you know you wanted to be a Principal?" 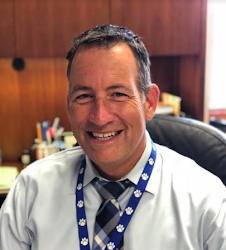 For me, my answer was quick to come by as I knew almost as soon as I began my teaching career that being an administrator would be in my future. Teaching is impacting students, parents and your classroom community. For me, going into administration, specifically a principal, would allow me to have an impact on a greater group of learners. Being a principal would allow me to have an educational influence over a larger audience. With that question potentially floating through your mind, I share with you some things you may want to consider before heading down the path of being a building administrator. Or in the least, this will give you some insight on what most likely lies ahead. For what it's worth, it is the greatest opportunity I have ever been provided outside of being a father. 1. Lead with passion. If you are going to take the plunge into this position you had better have your A-game on when it comes to leading with not only your mind but also your heart. Your teaches will feed off of the passion you bring each day. This gig is not for the weak at heart. Passion is a must! 2. Build relationships. There is one thing that will begin a day and end a day without missing a beat. Talking to your staff is just a small part of the responsibility of relationships, you need to be ready to lend an ear, listen and build the relationships among your staff. It is a make or break attribute that will determine whether your role will be short term or long term. 3. Accountability. Whether it is students, staff or your community, you expect the best and you demand the best. What that looks like is a work in process. At the end of the day our role is to support teachers to reach their students and their needs. If someone isn't doing their part then there will be a time and place for some tough conversations. Teaching isn't cut out for the faint of heart. If you want to run a successful school, hold people to the expectations of the district and the community. 4. In Demand. Principals will keep multiple objects in the air at any given time. While working through student issues and also being the instructional leader and implementing district initiatives and meeting the needs of your community, make sure you keep those plates spinning too. If you head down the path of Principal then expect to keep many parts moving all of the time. Of course build capacity and share responsibilities. Ensure that others lead. However, in the end you are ultimiatlely where the buck stops. 5. Endless Possibilities. And when I mean anything, I mean anything. We often say in this business of education, "we can't make this stuff up?" Well, as principal, our stories of interactions and happenings are amplified ten-fold. We learn to laugh at ourselves and our mistakes. And we learn from them.We learn through all of our mistakes and we look at failures as a way to show growth. In the end, we are always growing. It's a mindset. 6. 24/7. Educators work long days. As both teachers and principals we don't have "off" buttons when it comes to caring about our community of learners. We are always at work regardless of our location. Moving to the role of principal guarantees that the days and the nights just got longer. Be ready for it. Embrace it. The parents and students expect it. 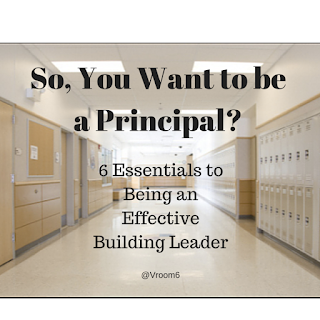 As you ask yourself the question of whether you want to be a principal, I would encourage you to seek out current building administrators and get their take on what the job truly entails. 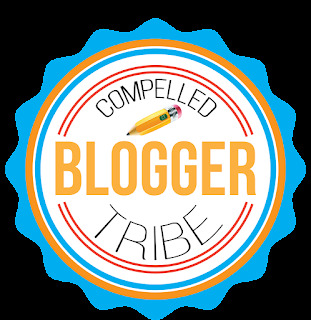 Bounce ideas off of them, ask tough questions and even spend some time in their shoes. As a building principal myself, we are always looking for educators to join our ranks. 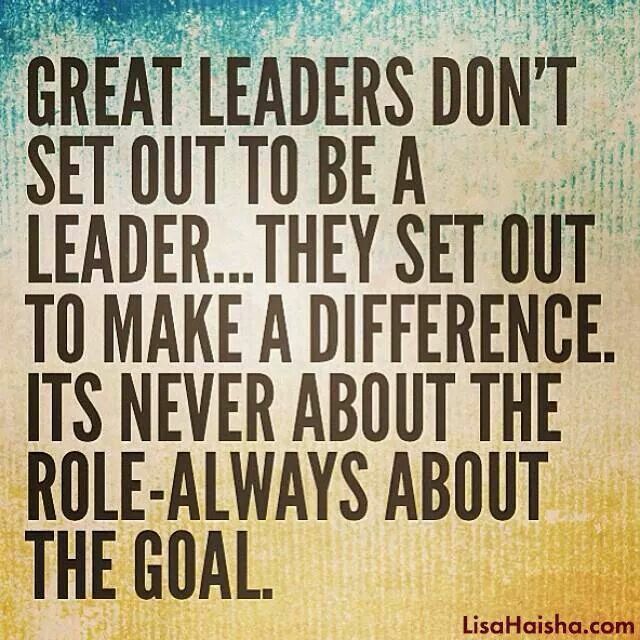 We need passionate, purposeful leaders that will guide our school communities to great places. Great advice Craig, and spot on! I love the challenges that come with leading a school...even the ones I don't like! Love your post. That is real Craig. Great advice for those looking to make that jump into administration. 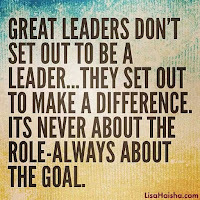 Leading is not for the faint of heart! Hi,Graig. This is an excellent article you posted here. I am really glad to read such kind of writing as I have an ambition to become a principal. Your mentioning consideration is very helpful. essaysamurai may help a lot to become a leader. Thanks a lot for your nice writing. Great post, Craig. I especially like the tip about not having an off button. As educators, we need to realize that we are never "off the clock". We must maintain a sense of professionalism whenever we are in public. We lead by example. Great post. There are several problems that we face during job apply. I will suggest we should edit resume before submitting it that will correct the errors.